Which celebrities showed up to this year's South By Southwest festival? 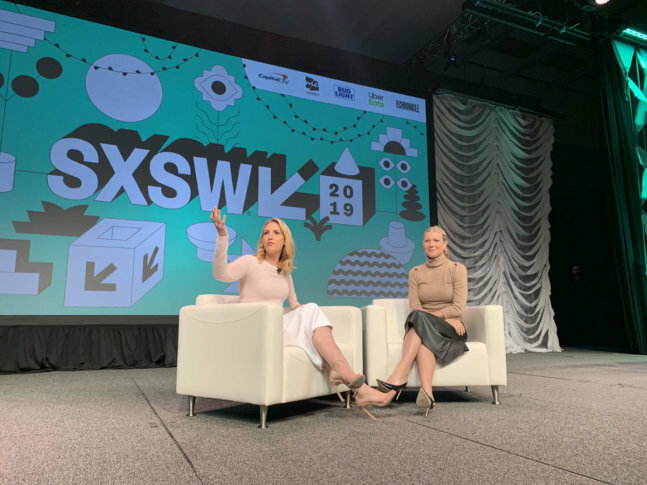 It was another banner year for celebrities at the annual South By Southwest (SXSW), bringing cutting-edge film, music and interactive content to Austin, Texas from March 8-17. With more than a hundred feature films and television series either making their debuts or building on prior launch announcements, filmmakers packed the carpets and panels, including Gwyneth Paltrow, Kevin Costner, Woody Harrelson, Seth Rogan, Charlize Theron and Lupia Nyong’o. But unlike many prior years, SXSW 2019 also saw a higher level of political participation, mostly from the left. No fewer than a half dozen presidential contenders found themselves joined by a pair of individuals who recently rose to instant, albeit controversial fame in the form of New York Congresswoman Alexandria Ocasio-Cortez and comedian Kathy Griffin. Yet while most of these individuals were in town solely to promote their projects or kickstart their political aspirations, a handful of high-profile personalities used this celebration to publicize, promote and market their own personal and professional causes. Katie Couric, former co-host of the “Today” show, anchor of the “CBS Evening News” and correspondent for “60 Minutes,” spent much of the first half of her week parlaying her public persona as an advocate for Rally Health, Inc.. The consumer-centric digital health company helps individuals to more effectively and efficiently manage their own health care. Couric claims Rally Health puts more information and resources into the hands of consumers and allows them to play a critically important role in directing their own health care. Just a mile down the road from Couric’s event, “New Girl” star Zooey Deschanel and her husband Jacob Pechenik unveiled Lettuce Grow, a service that provides consumers with all the equipment and maintenance necessary to create and operate their own urban farm. “We do these vertical gardens, so you can grow in a very small space,” Deschanel said. At a media preview event, Deschanel and Pechenik unveiled half a dozen vertical hydroponic farms, each containing a mix of edible flowers, herbs, leafy greens and vegetables, including tomatoes, peppers, even watermelons. The idea is based upon the concept that the consumer can grow 20 percent of his or her food at home, using 95 percent less water. Created as a “plant subscription service,” this innovative hydroponic growing system is scheduled to hit the market in April. Meanwhile, Gwyneth Paltrow took time away from the marketing and promotion of her personal lifestyle brand Goop to lend her star power to support the Vision Council‘s health event, a gathering designed to share tips for eye health and the latest in eyeglass fashion. While Couric, Deschanel, Paltrow and others used the week to push their passion projects, several presidential hopefuls saw a platform to enhance their causes. Potential Democratic candidates Beto O’Rourke, Kamala Harris, Pete Buttigieg, Amy Kobuchar, John Hickenlooper, Jay Inslee and Julián Castro all appeared on panels and as featured speakers. On the right, Trump’s Republican primary challenger Bill Weld turned out, as did past Ohio Governor John Kasich, who is publicly mulling a 2020 primary bid. Even former Starbucks C.E.O. Howard Schultz, considering a run as an independent, made an appearance. In the nonfiction world, Ocasio-Cortez and Griffin promoted their respective documentaries, “Knock Down the House,” a look at AOC’s successful run for Congress, “A Hell of a Story,” which chronicled Griffin’s infamous presidential severed-head gaffe that landed her in a whole heap of trouble, while kickstarting her own unique raison d’etre.